No life is forever, not even that of the man who played immortal vampires, mouldering corpses, and psychotic satanists. 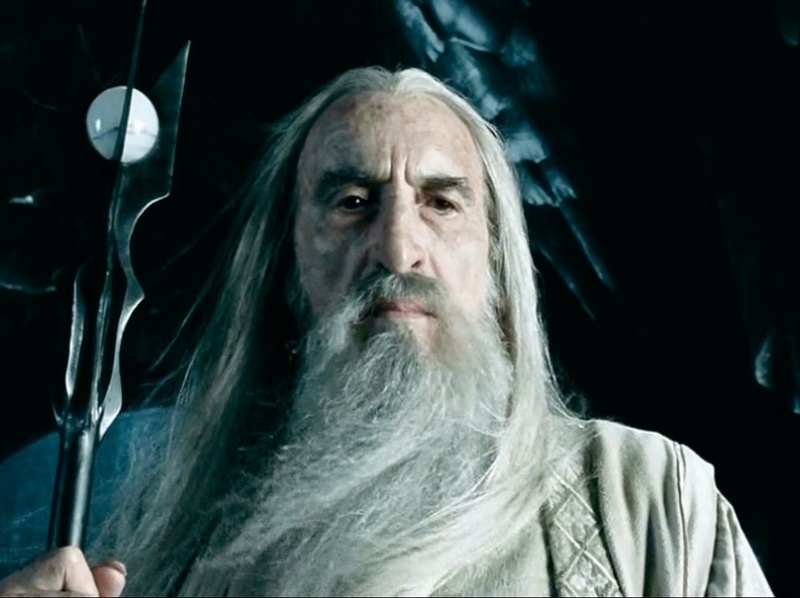 Christopher Lee had so permanently placed his mark on the world of fantastic film that his death this past week sent a shock wave through film fandom, so assured were we that he’d always be around to bring his wit, gravity, and class to the likes of Dracula, Saruman and Kharis. In the wake of his loss, Cinefantastique contributors Ted Newsom, Steve Biodrowski, Lawrence French, and Dan Persons got together to reminisce about encounters with the legendary actor, share some famous and not-so-famous anecdotes about his work and life, and evaluate his contribution to the worlds of horror and fantasy. Click on the player to hear the show, or right-click the link to download. 165 minutes! That's two and three-quarter hours! That makes TRANSFORMERS: AGE OF EXTINCTION the ultimate epic of explosions, brought to you by director Michael Bay, the man for whom too much is never enough. Is this outrageously elongated toy commercial an audacious triumph of style or substance, or is it indulgent garbage? Listen to Steve Biodrowski and Lawrence French debate the pros and cons of this 3D IMAX extravaganza in the Cinefantastique Spotlight Podcast, Volume 5, Number 24. 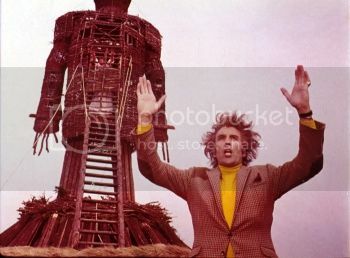 The film that Cinefantastique founder Fred Clarke called, “The CITIZEN KANE of horror,” is back, newly remastered and in an edition that its director has dubbed the “final cut.” In THE WICKER MAN, a devoutly religious Scottish policeman (Edward Woodward) travels to an island-bound agricultural community to investigate the disappearance of a young girl. What he finds is a society reverted back to its pagan traditions, a challenge to his faith via the island’s lord (Christopher Lee), temptation in the form Britt Ekland, and a mystery that suggests the missing child may have fallen victim to the island’s curdled superstitions. Happy to commemorate the impending rediscovery of a horror classic, Cinefantastique Online’s Steve Biodrowski, Lawrence French, and Dan Persons welcome theofantastique.com’s John Morehead in a discussion that examines the film in the context of the time it was made, weighs its impact now, and explores the tortured distribution history that’s led to confusion about what cut could be deemed the official one. Plus: What’s coming to theaters next week. Comment on the episode here or write podcast@cinefantastique.com or call 888-866-9010. Oh yeah, kid, you’ve got a bad case of sequelitis right there. Technically polished with occasional striking moments, INSIDIOUS: CHAPTER 2 picks up the story of the Lambert family — Patrick Wilson as daddy Josh, Rose Byrne as mother Renai, plus kids including Ty Simpkins as the psychically tuned-in Dalton — immediately after their disastrous sojourn in the netherworld in the first film, and then pretty much repeats the beats with some painful expository writing and awkward retconning to explain why the story didn’t just stop while it was ahead. 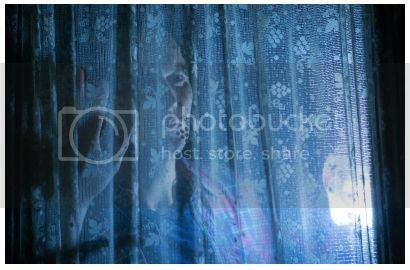 Cinefantastique Online’s Steve Biodrowski, Lawrence French, and Dan Persons have no shortage of opinions on how things went wrong (or in some cases, right) with INSIDIOUS: CHAPTER 2, and sit down to talk about how supposedly scary spirits wind up looking silly instead, why it may not be a good idea to take inspiration for your Big Reveal from MOMMY DEAREST, and, once again, why the police in horror movies are so dumb. Plus: What’s coming to theaters next week. Somewhere in Riddick (Vin Diesel), the fugitive criminal with the crazy, glowing eyes that can see in the dark, exists a character engaging enough to build a film franchise around. Somewhere in RIDDICK, the third film featuring the antihero, is evidence of a wise move to put the guy into a tighter, more stripped-down scenario better suited to him than the bloated, Robert E. Howard pastiche that was THE CHRONICLES OF RIDDICK. Unfortunately, stranding Riddick on a hostile alien world and tasking him with the challenge of outwitting two teams of bounty hunters — headed up by Jordi Mollà and Matt Nable and including Katee Sackhoff — for one of their spaceships hasn’t quite elevated this entry above the misconceptions of character and plotting that the first film, PITCH BLACK, neatly sidestepped. Sponsor: Audible.com 30 Day Free Trial. Get yours today at Audible.com. Cinefantastique Online’s Steve Biodrowski, Lawrence French, and Dan Persons differ in opinion on how seriously RIDDICK is undone by its flaws. In a lively conversation, they discuss writer/director David Twohy’s conception of the character, whether the mantle of Nietzschean superman rests comfortably on Riddick’s shoulders, and the difficulty in creating adversaries able to maintain their credibility while being outwitted by the protagonist. Most pressing, they also debate who in this scenario is the roadrunner, and who’s the coyote? Then: Steve gives his impressions of the comedic horror film HELL BABY and a preliminary impression of DEAD BEFORE DAWN, and Dan provides a capsule review of the post-apocalyptic, comic book actioner, BOUNTY KILLER. Plus, what’s coming to theaters next week. Comment on the episode here or write podcast@cinefantastique.com or call 888-866-9010. Take a moment to rate the episode by using our star system at the bottom of this entry. Don't forget to rate the episode here and place your thoughts on it here. 5:15 - John reminds everyone about the audio drama competition and talks of the passing of Eartha Kitt. 8:46 - Judy gives a quick review of the Disney flick, Bedtime Stories. 12:13- Andrea opines about the guy talk of the Geek Show podcast. 16:41 - Keith takes a brief look at New Year's marathons on television. 20:11 - Orenthal pimps Mike's Comics. 24:19 - "The RainCloud Man" promo by Big Finish Productions. 25:39 - Geek Cred podcast promo. 27:00 - Andrea reviews The Black Dove, part of the Holmes on the Range western mystery series. 35:06 - Spoiler Alert! Keith talks about this year's Doctor Who special, "The Next Doctor". 48:14 - Jay Smith briefly explains his new segment, "My Guilty Pleasure" and makes a plea for blood donations during this holiday season. You can get more information on where to donate blood by visiting givelife.org. 51:00 - Out of the Coffin promo. Glenn Hauman fulfills one of the unspoken staffing requirements at a comics company. "Dwayne McDuffie at Milestone, Mike Richardson at Dark Horse, Denis Kitchen at Kitchen Sink, Jim Shooter at Marvel and Valiant-- every comics company needs to have at least one ridiculously tall guy on it. With me on board, we'll have somebody who can change light bulbs and play center for the inter-company baseball league." When he was in junior high school, Glenn took art lessons from John Buscema, the legendary (and quite tall) Marvel Comics artist. "I knew I could never draw like that that," he says. Instead, he found other ways to make comics his career, starting with working in a local comic shop in high school, and then the production department at DC Comics. He has fifteen years of experience in publishing, including work for Random House, Simon & Schuster, DC Comics and Apple Comics. Mr. Hauman has worked as a graphic designer, editor, photo retoucher, CD-ROM producer, story consultant for films, and radio show co-host of "Destinies - The Voice of Science Fiction" on WUSB 90.1 FM at SUNY/Stony Brook. His latest Star Trek e-book, Creative Couplings, has been getting press coverage for its portrayal of the first Klingon-Jewish wedding. In addition to Star Trek, he's written other licensed tie-in works for X-Men and Farscape, and urban fantasy for Baen Books. He has been a featured speaker on the future of publishing at numerous industry trade shows. He was a founder of internet pioneer companies BiblioBytes, Hell's Kitchen Systems (bought by Red Hat in 2000), and Lot Auctions. Most recently, Glenn has been working as a webmaster, assistant editor, and production manager for arrogantMGMS, a comics packing company now involved with ComicMix. Glenn manages theirGrimJack.com, JonSable.com, MundensBar.com websites; he also runs the websites for comic book prosPeterDavid.net and BobGreenberger.com. "My career is the definition of varied, and the one constant is that I find myself doing something new that still draws on past experiences," Hauman said. "I can't imagine something that draws on all the things I've done and all the things I want to do more than ComicMix." 1:23:17 - Scott Ziegler's Contagious audio book. 1:25:30 - Orenthal hates Batman: The Brave & the Bold, but he'll continue to watch it. Go figure.